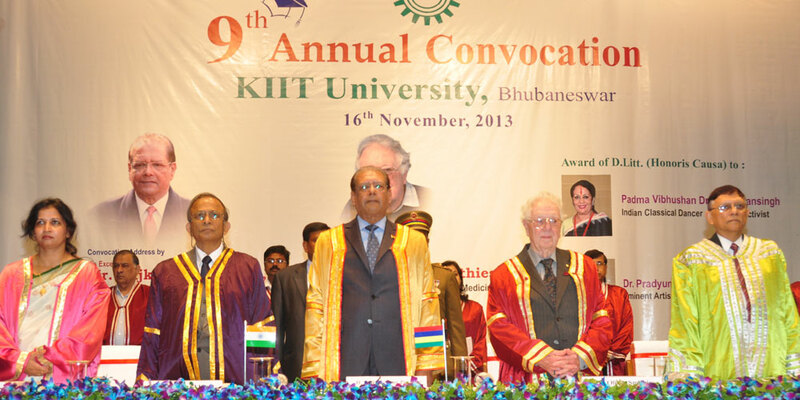 Total 5047 students of 2015 – 16 graduating batch of KIIT received their degrees at its 12th Annual Convocation in the presence of Professor Sir Richard John Roberts, Nobel Laureate in Physiology or Medicine (1993), UK, Dr. Habil Khorakiwala, Chairman, Wockhardt Group and other dignitaties on November 12, 2016. 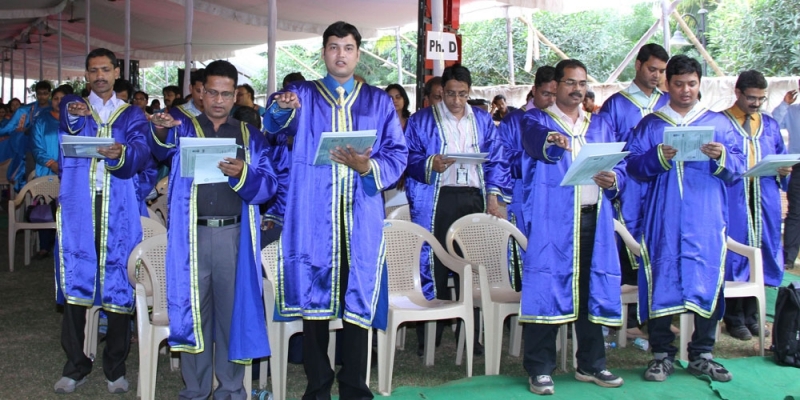 Among them, 52 students got Ph.D. degrees in various disciplines. The University conferred Honoris Causa Degrees of D.Sc. and D.Litt. on Sir Roberts and Dr. Khorakiwala respectively. 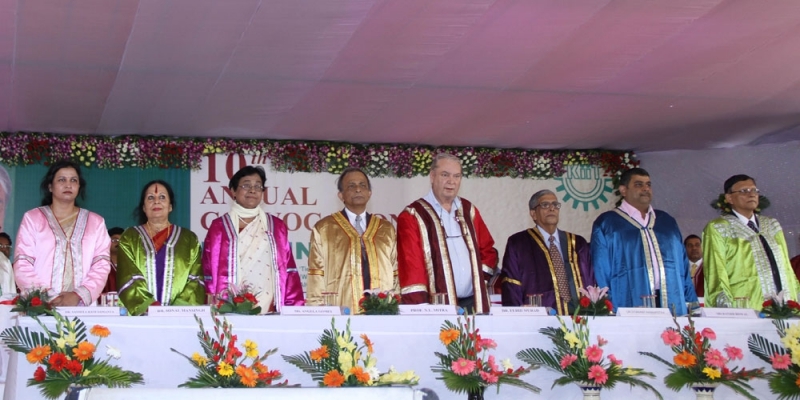 Delivering the convocation address, the Nobel Laureate advised the graduating students to set a goal and work towards it with dedication and hard work. However, it is important in life to look at every opportunity that comes one’s way. Sir Roberts was born in a poor family, but was lucky to have the benefit of education. His childhood goal in life was to become a detective, but subsequently he developed interest in chemistry and mathematics. He won the 1993 Nobel Prize in Physiology or Medicine for the discovery of split genes and mRNA splicing in 1977. “Embrace the change if something interesting comes along. Look for unusual things in life and latch on to any lucky breaks and take its full advantage”, he remarked, citing examples from his life and career. 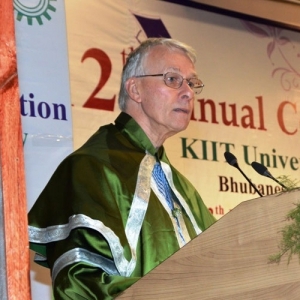 Elaborating that his own post doctoral degree from Harvard University and Nobel Prize were possible due to such lucky breaks, he added, “Coming to this University was a lucky break for you and you must make the most of it”. His wife Madam Jean Elizabeth Roberts was also present on the occasion. 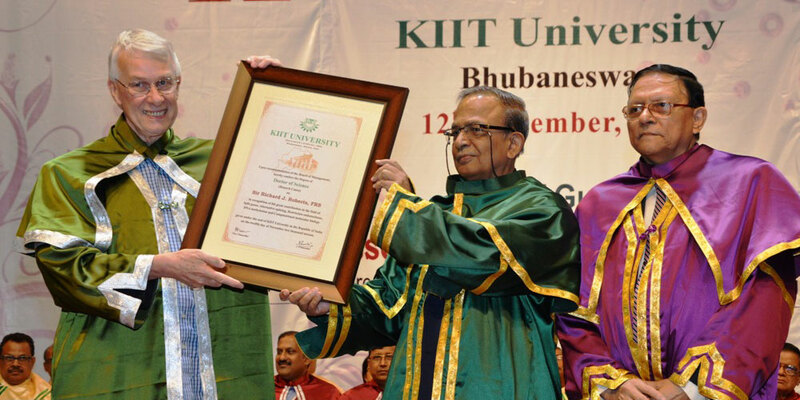 Speaking on the occasion, Dr. Khorakiwala said, it is a privilege to receive Honoris Causa D.Litt. 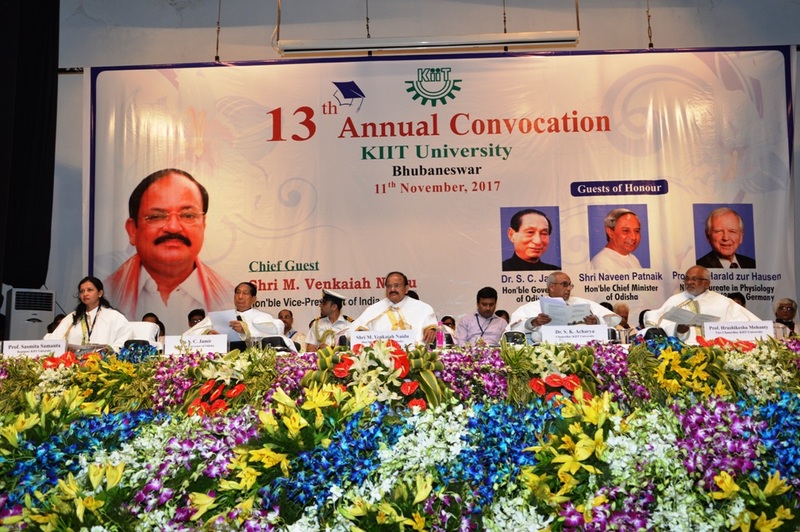 from KIIT , which has also honoured Nobel Laureates, Bharat Ratna Prof. C. N. R. Rao, Prof. M. S. Swaminathan and many other eminent personalities in previous years. 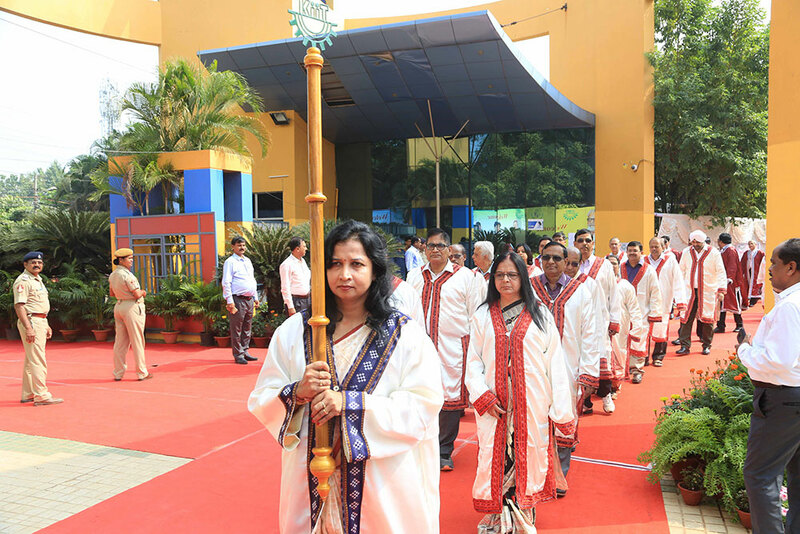 “More than 25,000 students are studying in the great University and another 25,000 in its sister institution, Kalinga Institute of Social Sciences (KISS). 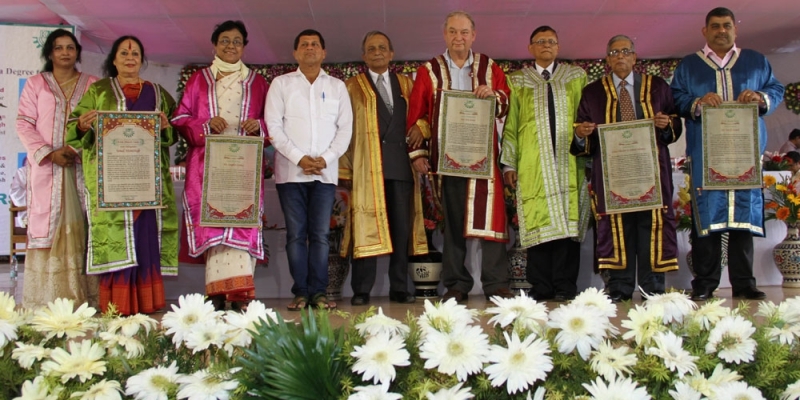 I am overwhelmed with admiration to witness what its Founder Prof. Achyuta Samanta has created through his vision, dedication and passion. 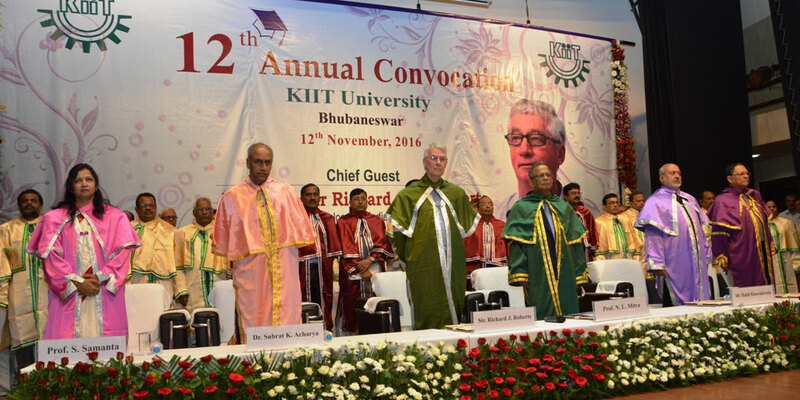 KIIT University takes care of all round development of its students, which reflects the vision of its Founder”, the Chairman of Wockhardt Group remarked. Wockhardt Foundation is working with the Govt. of Odisha to provide 40,000 households with toilets, he informed. 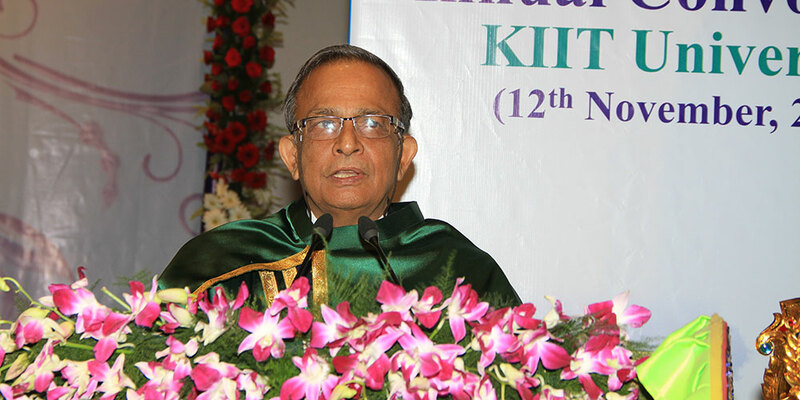 Expressing best wishes to the graduate students, Prof. N. L. Mitra, Chancellor, KIIT , in his presidential address, told students that each of the graduating students is the ambassador of the University at the place they serve. 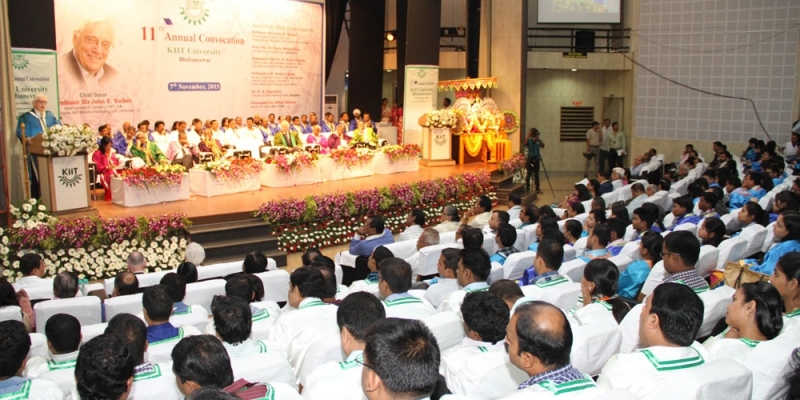 “It is your reputation at your work place, batch after batch, that make the future of the coming generation bright. Networking of alumnus of the University brings the two classes of people together in an effort of organized job market”, he said. He advised the students to follow the footprints of the Founder. Earlier in his report, Vice Chancellor, Prof. P. P. Mathur said that the University has given greater focus on building research facilities augmented by funding from various national and international funding agencies. 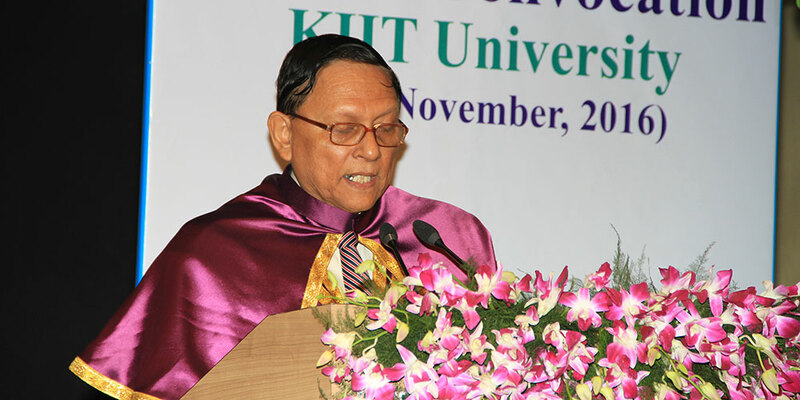 Faculty members and research scholars of the University published around 700 research papers in peer reviewed journals and around 300 papers were presented in national and international seminars and conferences in the last year, he informed, adding that KIIT organized more than 90 International and National seminars, conferences and workshops. Shalini, B.Tech. 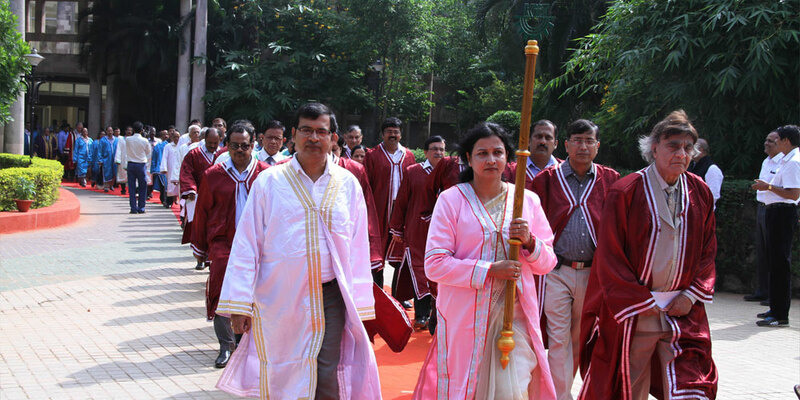 (Civil), Chitra Shijagurumayu, M.Tech (CEM) and Avinash Panda, B.Tech. (Civil) won Founder’s Gold Medals for their outstanding all round and academic performance. 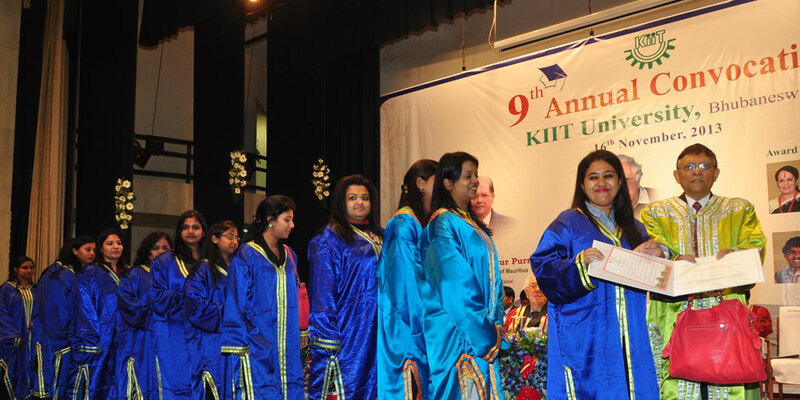 Similarly, 16 students were awarded Chancellor’s Gold Medal, while 30 students got Vice Chancellor’s Silver Medal. P.K. Bal Memorial Gold Medal, PPL Gold Medal and Nanibala Memorial Gold Medal were also given away on the occasion. 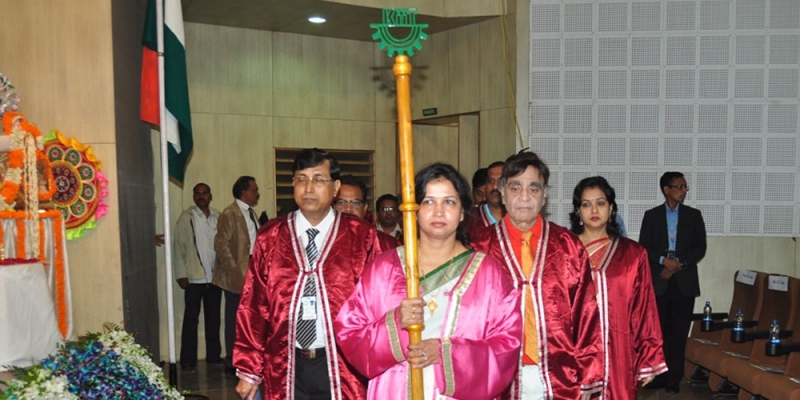 Dr. Sasmita Samanta, Registrar, KIIT proposed the vote of thanks. 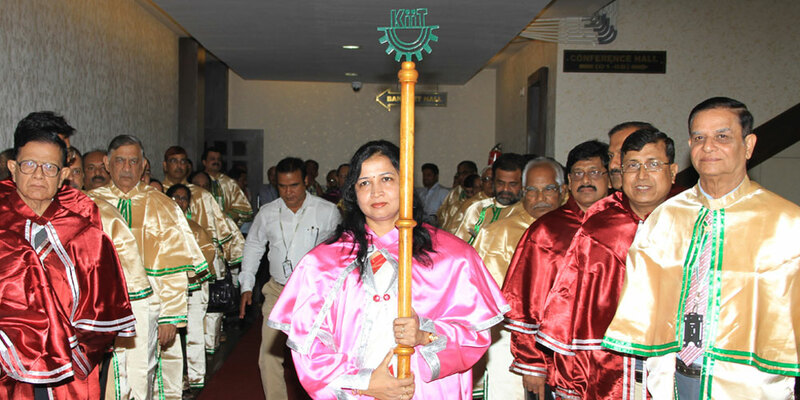 Among others, Members of the Board of Management and Academic Council; President of the KIIT & KISS Society, Smt. 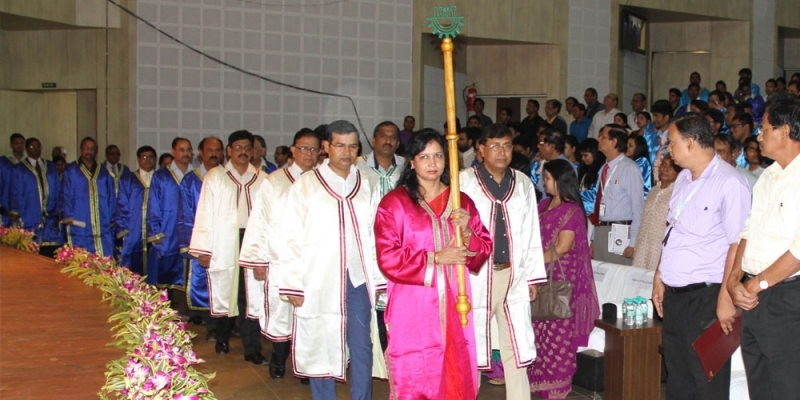 Saswati Bal; Founder of the KIIT & KISS, Prof. Achyuta Samanta, Secretary, Shri R. N. Dash and Pro-Chancellor, Dr. Subrat Acharya were also present in the occasion. Nobel Laureate in Physiology or Medicine (1993), U.K.